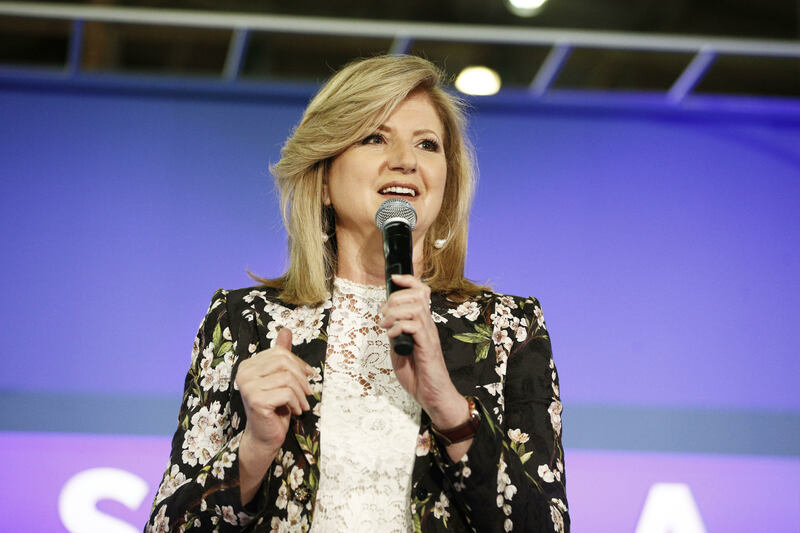 Arianna Huffington, executive producer of NatGeo’s “Valley of the Boom,” Shares How The Dot.Com Boom Created the Tech Culture Today. The tech world has finally — to use its favorite buzzword — disrupted itself. In the last two years, our relationship with technology has gone through profound changes. We’re now much more mindful about how we use technology, what we want from it and what we don’t want. And we’re re-evaluating not just our assumptions about technology, but also the Silicon Valley culture that created it. But how did we get here? What accounts for this abrupt culture shift? In fact, it’s not as abrupt as it seems. As Hemingway described the process of going bankrupt in The Sun Also Rises, it happened “gradually, then suddenly.” The seeds for almost every aspect of our current moment were actually planted back in the 90s during the first internet boom. And you can see every one of them in its full glory in “Valley of the Boom,” the new six-part limited series I executive produced premiering on National Geographic on January 13th (with the first two episodes released early — December 21st). The series was created, directed, and co-written by House Of Lies creator Matthew Carnahan and stars Bradley Whitford, Steve Zahn, and Lamorne Morris. The series takes us back to the first internet boom — and bust — by following the stories of three particularly spectacular dot.com giants: TheGlobe.com, an early social media site; Netscape, which helped create the modern browser; and Pixelon, a pioneer (or was it?) in streaming video. They were the first unicorns. Though none of them are around today in their original form, their DNA lives on not just in the architecture we use for video, social media, and browsing, but in the culture of Silicon Valley and our relationship with technology that’s being re-evaluated today. That’s what I love about the series, and why I chose to be involved — these stories illuminate both what’s changed about the internet since the first boom and bust, and what’s always been there but we’re only now just beginning to glimpse. As the first bubble grew, Silicon Valley created a supercharged version of the American Dream, one that was much faster, much more lucrative — and much more precarious. And, as the notorious $12 million “iBash” event that Pixelon threw in Las Vegas showed, one with much crazier parties. But what’s even crazier is that it made sense at the time. This was a literal gold rush, in the same place as the one 150 years earlier, except here you could create your own gold. And sometimes all you had to create was a good story of how you might create gold. This was the birth of the idea that the narrative of the IPO is just as important as what the actual product is. For Netscape that narrative meant deliberately casting Marc Andreessen as the nerd-turned-rock-star, a still deeply entrenched founder narrative. It wasn’t just that it was suddenly cool to be able to create geeky computer code, but you could monetize that knowledge, too — and with the right narrative and the right timing, become a billionaire. Andreessen wasn’t the only star of the Netscape story, which created so many elements of the Silicon Valley origin myth. A young computer whiz fresh out of school teams up with a wizened tech pioneer — Jim Clark — from an earlier generation. They hit it off, form a company, and Marc calls back his old buddies from the University of Illinois and, Ocean’s Eleven-style, convinces them to come out west to Mountain View. Except instead of pulling off a caper, they’re going to be creating the Web and the dot.com boom. And through Netscape’s business life cycle we can see tech debates that are still ongoing: what constitutes a monopoly; how can market share be so quickly gained and so quickly lost; how rapidly the upstart disrupter can become the disrupted. And, of course, there was the creation of the primary issue in our current tech conversation: the idea that the most valuable resource for a technology company to own is our attention. That’s the center of the inflection point we’ve arrived at. How can we reclaim our relationship with technology by reclaiming our attention? How can we build technology that’s about enhancing our lives instead of consuming them? To chart a way forward, we need to see where we’ve been. To change our tech habits, we need to understand how and why the tech world that drives those habits was built. As they say, those who ignore history are condemned to spend four hours scrolling through Instagram and completely forget what they were doing. Oh, and I should also mention, the series is incredibly funny — as outrageous, preposterous, and downright fun as the era it’s recreating. It was a time of equal parts idealism, triumphalism, and ruthlessness, where the personalities were as big as the profits, if not always as fleeting. The first internet boom was the big bang of so much of our current culture. The internet has grown up since then, and so have we. We’re now well aware of its unintended consequences. And we can now have a voice in building technology that works for us, instead of the other way around. Which is all to say: “Valley of the Boom” is the perfect 90s nostalgia series to kick off your 2019! The six-part limited series premieres Sunday January 13 at 9/8c on National Geographic or watch the first two episodes now On Demand and on the Nat Geo TV App.